Winter can seem dreary and colorless, as if the vitality of life is a thing of the past and spring is gone for good. Like the end has come and hope is gone. But there beats a pulse, a Source of life that runs unseen through our very veins. A life giving flow, drawn from roots planted deep, that warms and invigorates and calls resurrection life out of death. Without a doubt, the seasons will change, the tender green shoots will push through the ground and new life will appear. Hold on to Hope! Take courage again. Spring is coming. 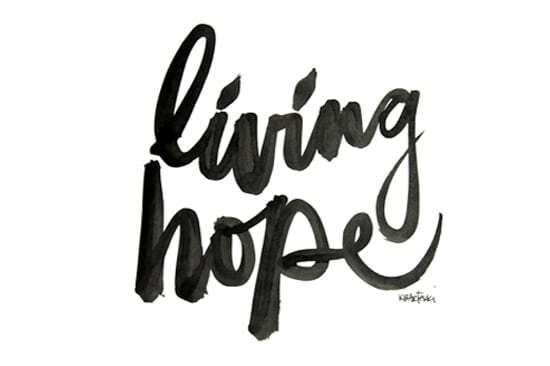 Hope is living because it is rooted, not in a change of circumstances or in a better effort, but in the actual Person of Jesus. We’ll look at the anatomy of hope – a mixture of joy and peace flowing out of trust – and hear His warm and personal invitation to receive the fullness of this life-giving flow. In this session, we’ll discover that our “little while” of testing spoken of in I Peter 1:6 is not only not haphazard, but is being intentionally used by God to work His strength and confidence into our hope. Like a seedling making the painful journey through the dark soil to the light, as we embrace His purpose in suffering, our lives rise in solid faith and confident trust. When our hearts have found their Home in God, rooted deeply in the Life Source, when we allow His purpose in hardship to work its wonders into our frame, the culmination is one thing: fruit – beautiful, abundant, mouth-watering fruit, effortlessly born from Connection. We really love working with artists. For C4W – Living Hope, we reached out to an artist from Manitoba, Canada named Kal Barteski to see if she would be kind enough to paint the main logo for this theme. She generously volunteered and sent us the beautiful “Living Hope” branding. KAL BARTESKI is an artist and brush script letterer. She is passionate about wildlife conservation + education. Her work is often described as “meaningful, authentic + poetic”. She believes in art’s power to connect + heal and has created art for charities around home, nationally and internationally. She cares deeply about intellectual property online. She is a TEDx speaker, a published author + winner of a Women Entrepreneur of the Year Award. She has a deep, love for polar bears, ice and winter. She sells her paintings internationally and uses her signature brush script style in campaigns all over the world. Visit her website at kalbarteski.com or follow her on Instagram and Twitter.